Kitchen systems offer the best of both worlds: unlimited customization and efficient, modular-based installation. For multi-unit projects or single-family structures, open floor plans or enclosed rooms, these versatile cabinets are a designer's dream. 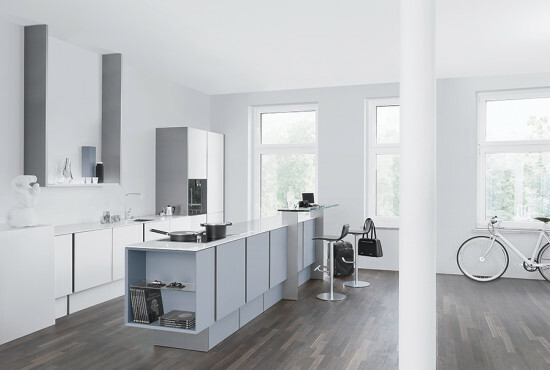 P'7350 Poggenpohl The mitered vertical joints of the P'7350 are a striking visual departure from the horizontal lines of conventional kitchens. Designed by Porsche Design Studio. XTEND Leicht Louvered panels rise and lower via remote control, eliminating concerns about door-swing clearance in tight spaces. Henrybuilt Custom designed and fabricated in the United States, these contemporary kitchens feature hand-crafted carpentry and one-of-a-kind detailing. B3 Bulthaup A multi-function wall is at the core of this kitchen system, concealing utility lines and giving the cabinets a floating appearance. Phoenix Varenna A serviceable mix of open and closed storage and a palette of natural materials characterize this forward-looking kitchen. Designed by CR&S Varenna. 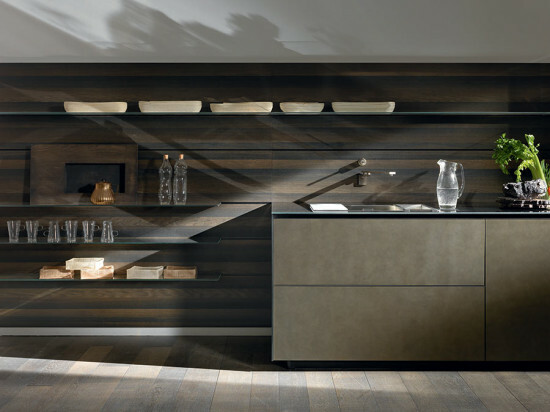 New Logica System: Artematica Vitrum Arte Valcucine Featuring glass-fronted drawers and base cabinets, this kitchen poses unique recycling potential. Full-height pantry units offer extensive storage capacity. Designed by Gabriele Centazzo.